We’re growing increasingly accustomed to being connected at all times — in fact we expect it. For example, you are using a mobile app, the moment you lose connectivity, you feel inconvenienced. It’s no wonder then, according to an academic study by Jonathan Lazar, Adam Jones and Ben Schneiderman, loss of internet connectivity is one of the top five causes of user experience frustration. 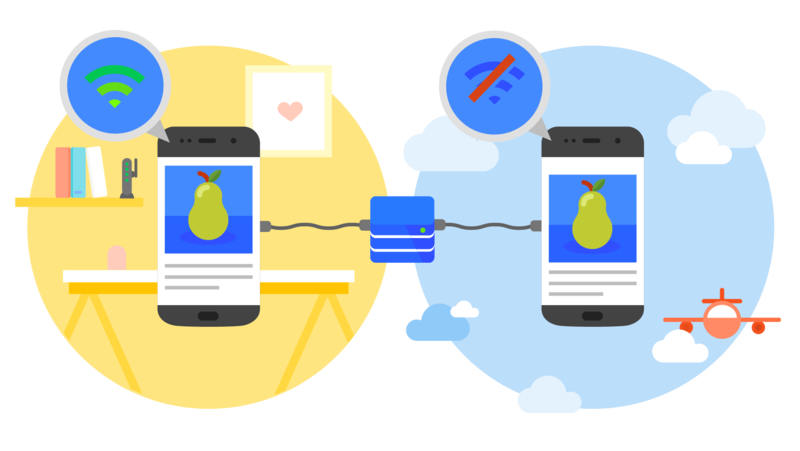 The introduction of Progressive Web Apps (PWAs) aims to provide a solution to this problem. With a PWA, brands can make their application available offline through a web browser. According to LamdaTest, brands like Treebo, Trivago and Flipkart have seen substantial improvements since adopting PWAs. Treebo saw its conversion rate increase by four times, Trivago has seen a 97 percent increase in “clickouts” to hotel offers and Flipkart’s customer acquisition rose by 50 percent. We asked industry practitioners to help us understand what a PWA is, and identify the pros and cons. A PWA is a type of web application that utilizes modern web capabilities to deliver “app-like” experiences to users through a web browser. PWAs operate like regular webpages or websites but also offer additional user functionalities like working offline and sending push notifications. PWAs are primarily used to create mobile apps that do not need to be downloaded by the end-user. According to a report by AppInstitute, brands that have used PWAs have seen on average a 68 percent increase in mobile web traffic. The same report also noted PWAs load 15 times faster than native apps. “PWAs bring the capabilities and experience of a mobile app to the mobile web to deliver a reliable, fast and engaging experience. It’s basically an app delivered through the web, that doesn’t require you to actually download the app. PWAs solve the shortcomings of a mobile web experience by bringing the best characteristics of the mobile app experience to the web,” said Komal Bhatia, engineering manager at PubNub. What Are the Pros and Cons of PWAs? Garry Brownrigg, CEO and founder at QuickSilk, said one of the major pluses of PWAs is they leverage the latest capabilities of HTML5 and adhere to the “write-once-run-anywhere” responsive design capability that is utilized by a majority of mobile websites. This makes them “typically faster” and “less expensive” to develop. “[PWAs are] an attractive option to businesses looking for a quicker return on their investment. With PWAs, you can avoid app store bureaucracy when it comes to app eligibility. Simply develop, or tweak, the code, test it and push it live,” said Brownrigg. In bypassing the app store route, brands can achieve a faster time-to-market and be able to make any changes to the app without having to resubmit the application. “For developer teams, a PWA [provides] greater agility when it comes to release cycles, as updates are not blocking the end user journey. Releases can be shipped faster and more frequently. In a native app, one would group and delay shipping smaller fixes in a larger bundle to reduce end-user friction,” said Tim Vereecke, web performance architect (principal) at Akamai Technologies. Vereecke added that PWAs are capable of delivering an application offline, which can help brands “keep users engaged” even in the most “challenging” of network conditions. However, there is one particular limitation that brands need to know. PWAs are browser-based technology, and not supported by every browser. “As with all browser-based technologies, many features of a PWA are not supported in older browsers. Sometimes even the latest browsers don’t necessarily support the full set of features. This is something one should be aware of when developing a PWA,” said Vereecke. While a PWA will still be “functional” and “user-friendly” in all browsers, it might lack the more advanced features, he added. PWA Use Cases: How Should a PWAs Be Used?